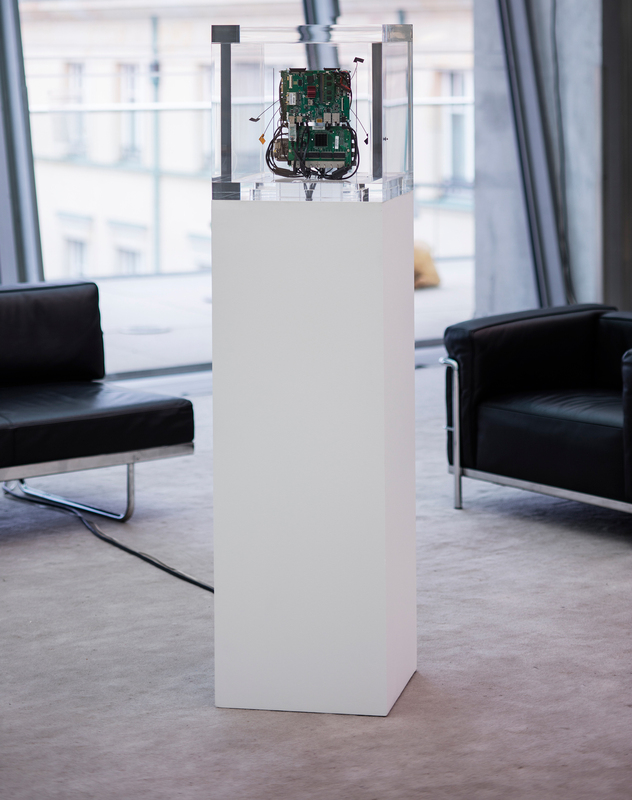 For their first artistic collaboration, artist and geographer Trevor Paglen and journalist, artist, and security researcher Jacob Appelbaum bring together their respective interests in their work Autonomy Cube, a usable sculpture. Housing computer circuit boards, the transparent cube is an exit node and router for Tor, an anonymous relay network for internet traffic. 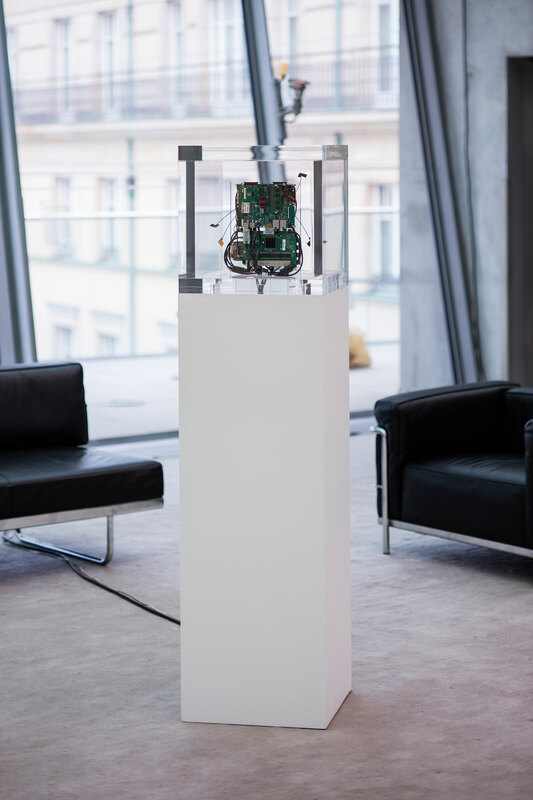 The sculpture turns the room where it is installed into an open wireless access network, a secure hotspot (network ID: Autonomy Cube), where visitors can surf anonymously. Referencing the closed system of Hans Haacke’s Condensation Cube (1963–65) in title and form, the work is an attempt to encourage engagement and participation in a privacy-oriented, volunteer-run internet—by showing us the hardware that enables a truly free internet experience.